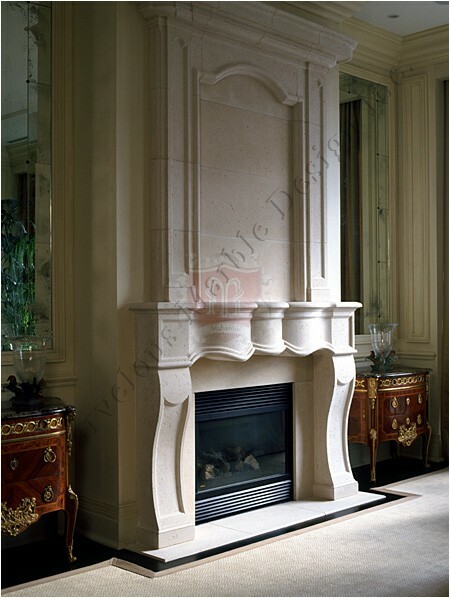 Don’t keep your fireplace looking empty; you can easily adorn it with this stylish Bellair luxury limestone fireplace mantel. As a homeowner, you have a duty to ensure that your house looks attractive from both outside and inside. That’s why you should consider installing unique interior designs that will make your living room look elegant. 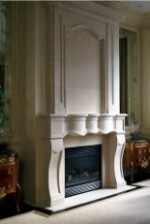 A Bellair luxury limestone fireplace mantel will help you create a one of a kind interior design that will capture everybody’s attention the moment they come into your home. It is a symbol of greatness that will serve as your home’s focal point. If you are looking for a way to make a statement in your home, consider installing the Bellair luxury limestone fireplace mantel. It will let people know that you are always up to speed with the latest interior designs and styles. What’s more, you will give your guests and family members something to admirer in your living room when you install this Bellair luxury limestone fireplace mantel. This décor element helps you to make your living room appear more luxurious and expensive. It’s the best way to make people know that you know how to pick the best interior styles. Creating something that will serve as the focal point in your living room can be a daunting task especially for first timers. However, with this stunning piece of artwork, you do not have to worry about your interior space as it comes with amazing features and designs that will dominate the room, pushing everything else to the background. You can rest assured that this piece of creation is the first thing that people will gaze at the minute they enter your living room. They will be admiring your taste for class, style and value. 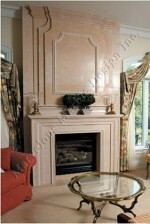 Let people know that you appreciate beauty by installing this Bellair luxury limestone fireplace mantel. 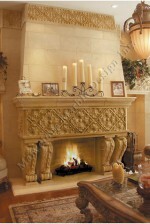 With this luxury limestone fireplace mantel, your fireplace will look more lustrous and bigger. This one is more than just a fireplace mantel; it is an essential part of your home’s beauty. You can use it to restore your old living room as its designs are meant to bring a sense of style and freshness, giving your living room a completely new look. A Bellair luxury limestone fireplace mantel can help you to customize your interior décor, allowing you to create the kind of design that truly reflects your personal taste and style. It’s also a simple way to add value to your home. Overall Size: (W X H) 73"X55"Opening Size: (W X H)51"X40"